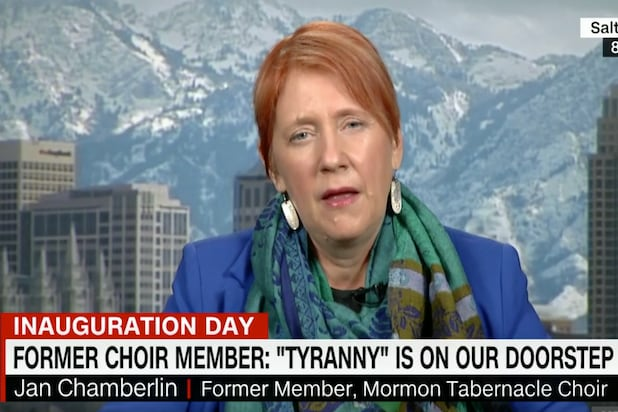 A Mormon Tabernacle Choir singer who quit the ensemble over its planned performance at President-elect Donald Trump’s inauguration doubled down on her decision in an interview with CNN on Tuesday. “This goes far beyond any past inaugural situation. I am seeing very similar parallels of fascism,” Jan Chamberlin told Carol Costello before reaffirming her withdrawal from the choir. She also said she doesn’t regret using harsh words in a Facebook post announcing the decision, which precluded her from appearing to support “very vile practices and positions” by performing. “This is my personal view: I love my church leaders and I love my religion,” Chamberlin said. “I totally understand the position of the church and the choir — they are goodwill ambassadors,” Chamberlin said. “It is with a sad and heavy heart that I submit my resignation to you and to Choir. I’m am praying that Jesus will help me get through this email before I totally break down,” Chamberlin wrote in a resignation letter obtained by The Salt Lake Tribune and eventually posted on Facebook. As TheWrap first reported, Trump’s team is struggling to book A-list performers for his inaugural festivities, with two talent bookers saying they were offered ambassadorships if they could deliver marquee names. The inauguration team has its sights set on top-tier talents like Justin Timberlake, Bruno Mars, Katy Perry and Aretha Franklin, and is willing to pay steep fees for the performers. 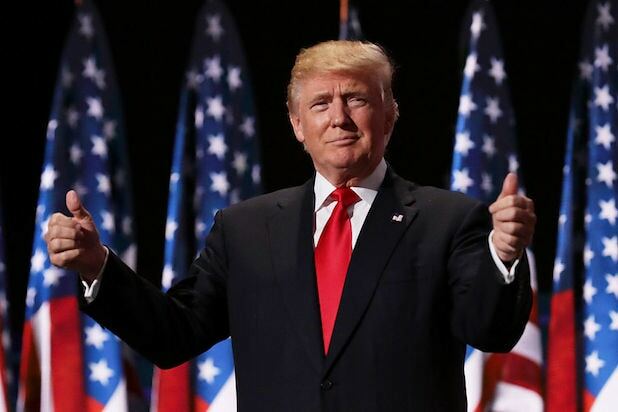 Trump’s team has managed to enlist 16-year-old former “America’s Got Talent” star Jackie Evancho to sing the national anthem. It has also booked the Radio City Rockettes and, of course, the Mormon Tabernacle Choir. Several high-caliber performers have already publicly rejected requests to take part in the Jan. 20 festivities, including Celine Dion, Garth Brooks, Elton John and operatic singer Andrea Bocelli.